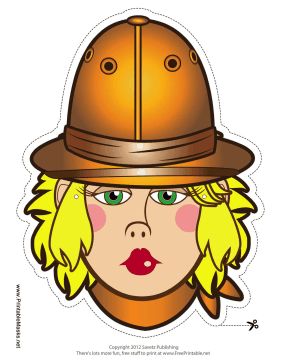 A pith helmet and bandana complete this blond explorer's wilderness outfit. Wear this mask for all your backyard expeditions! This mask is free to download and print.